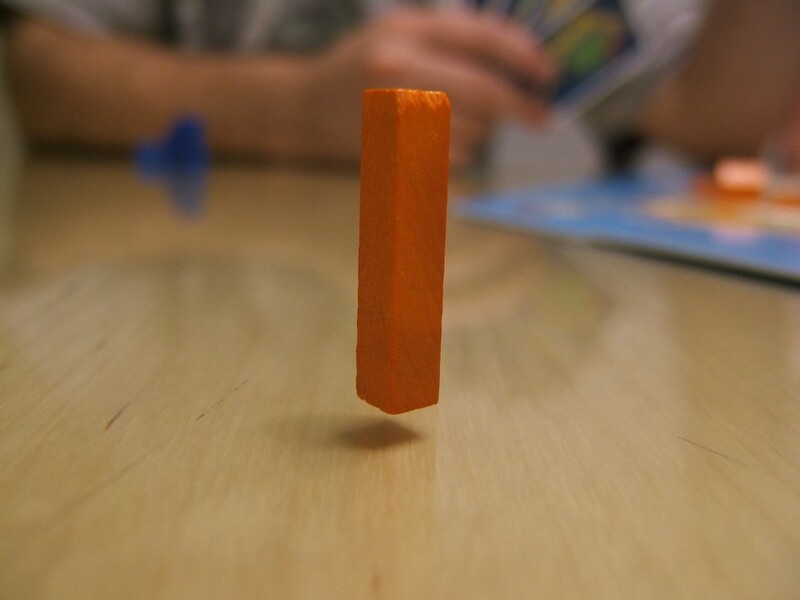 I got bored playing Settlers of Catan, so I used the power of my mind to levitate this game piece. This photograph has not been digitally altered or enhanced in any way. The reflection IS accurate, if you realize that the game piece is actually sitting on the glass top of the table that covers the wood. The levitation effect is caused by the gap the glass produces between the bottom of the piece and the top of the table.